The Michigan Expositors Summit is a ministry of Grace Baptist Church (where I pastor) that offers gospel-affirming pastors an opportunity to hone their preaching skills at no cost to them. This year we met on April 11th, from 8:30-1:30. About 50 pastors came from 30 churches. Our speaker was James Wells, senior pastor of Heritage Hills Baptist Church in Grand Rapids. He gave three outstanding workshops on highly relevant topics: maintaining our passion in preaching, developing effective sermon illustrations, and principles for applying the text with care. It was great reconnecting with many pastors who had attended last year's event, and especially fun to meet a number of new pastors. We are praying and working for a spiritual awakening in south-central Michigan that will spread to every part of the world that our ministries touch. Will you pray with us? 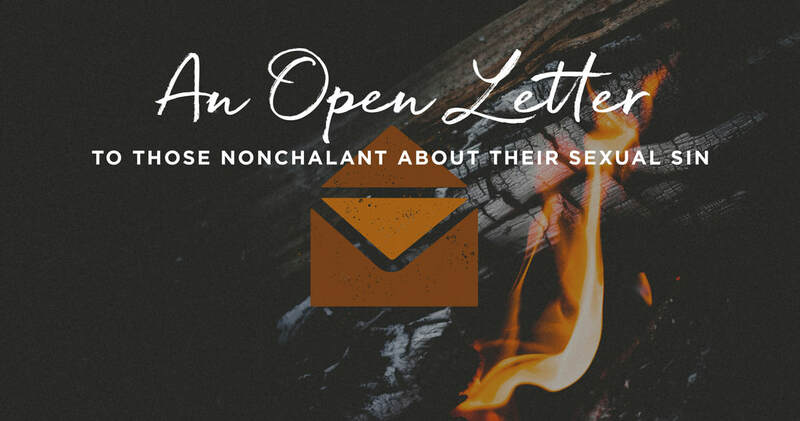 August 22, 2017 by: David PowlisonThis article is part of the Open Letters series from Crossway. But God doesn’t just tell you to shape up. The second step is to realize “I need mercies from my Father. I need him to love me and forgive me. I need his strength and forgiveness.” Recognizing wrong leads to awareness that you need something that only God can give you—something he freely gives. He gives himself in Jesus Christ. "Creation care is part of the gospel" ??? ​Just finished working through Creation Care by Doug and Jonathan Moo. Overall it's a great book offering a sound biblical theology of the natural order. But there is one very troubling chapter (ch. 10) in which the authors declare that "creation care is part of the gospel." This is just the latest example in a trend among evangelicals to load the gospel with content that does not belong in the gospel proper. Let's be clear about this: the gospel is the good news of what God has done for us through Christ (see esp. 1 Cor. 15), a message that is received by faith and repentance. The gospel is not an action, or series of actions, that we perform. The gospel is not "do social justice." It is not "do ecological justice." It is not "do economic justice." All of these are important, and all will be concerns of those who have embraced the gospel message. But they do not constitute the gospel itself, in whole or in part. 1. It undermines the core evangelical doctrine of justification by faith alone. How could it be otherwise, when you start saying that intrinsic to the gospel is stuff we must do in addition to a message about Christ that we must receive? 2. It undermines true evangelism. When Christians think that community organizing is "spreading the gospel" and when they think that their nonChristian neighbors and friends are engaged in "gospel work" because they are committed to social, economic, and ecological justice, the actual gospel message is not going to be shared as often as it otherwise would be. The tragedy of this should be evident to all who believe in the realities of death and hell. 3. It saddles Christians with a load of guilt that they don't need to bear. The NT reveals plenty of sins for us to experience true guilt about: pride, malice, envy, greed, etc. Now some evangelicals want to add to that burden feelings of guilt about owning SUVs, not using a bicycle often enough, consuming fast food, drinking bottled water, turning the thermostat up during the winter months, etc. Was this not the error of the Pharisees--burdening the consciences of God's people with a load of extra-biblical rules? 4. It directs much of the Church's finite human and material resources away from Bible translation, church planting, and missions work (where those resources are most needed) and toward economic, environmental, and social causes that are already flooded with volunteers, extremely well-funded, are not directly tied to the biblical mission. 5. It will cause some Christians to believe that their churches are not "preaching the whole gospel" because there are no sermons being preached or activities being organized around economic, environmental, and social causes. The result of this will be conflict between some church members and their church leaders, some unnecessary departures of members from their local churches (on the grounds that their churches "don't care about the whole gospel"), and some public judgments against those good churches (on social media, for example) based on nonbiblical standards. I am pleased to announce the publication of a new work on the theology of Jonathan Edwards entitled, The Miscellanies Companion, with a chapter entitled "Edwards on Glory as the End of Creation" contributed by yours truly. "The Miscellanies Companion is a product of JESociety's "Miscellanies Project." Essays were contributed by an international body of scholars hailing from East Asia, Europe, the UK, and North America. The contributions canvas a wide range of topics contained in Edwards' "Miscellanies," including Trinitarianism, Millennialism, Reason and Revelation, Evangelism, Happiness, Salvation, and more. "The Miscellanies Project" and the Companion are part of the Visual Edwards created by Robert L. Boss. A unique contribution to Jonathan Edwards studies, the Visual Edwards is a software project that maps Edwards' writings, volumes 1-26 of the Yale critical edition, and provides a new view of America's theologian. The Visual Edwards is, as it were, an advanced computational material which can be stretched, bent, and zoomed to direct the scholar to areas of interest. As a cartographic tool, it grants the reader visual access to Edwards in his own words. A team-oriented project to visually unlock Edwards' notebooks, and map intricate connections in his thought, "The Miscellanies Project" and the print Companion are first steps toward the Himalayan task of visualizing Jonathan Edwards -- an ongoing project seemingly without end. To echo Edwards' sentiment in "Types," "there is room for persons to be learning more and more ... to the end of the world without discovering all." How Loneliness Is Tearing America ApartWhen people have a hole in their life, they often fill it with angry politics. For those who are interested, my review of Jeff Straub's book, The Making of a Battle Royal: The Rise of Liberalism in Northern Baptist Life was posted on SharperIron this morning. You can view the article and discussion HERE. 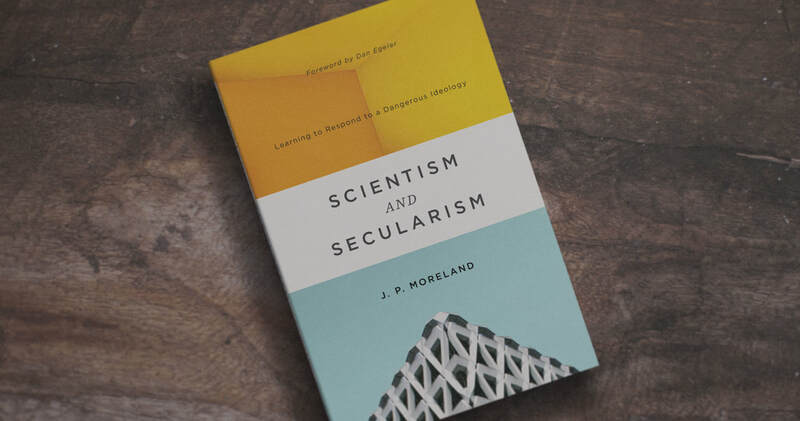 Just finished reading my review copy of Scientism and Secularism by Christian philosopher J. P. Moreland. In the book he confronts the philosophy of "scientism," which is, in his words, "the view that the hard sciences alone have the intellectual authority to give us knowledge of reality." And in another place, the belief that "science and its methods provide the only valid route to gaining knowledge and for answering questions, to the exclusion of other methods and disciplines." We see this philosophy all around us. You are witnessing it any time you hear someone speak of a scientific conclusion as "fact" while relegating nonscientific matters (like matters of metaphysics, morality, etc.) to the realm of "personal opinion"--as if true knowledge of nonmaterial things is not possible. The book will be difficult reading for many, but it is still well worth the effort. I would encourage you to pick up a copy at your earliest convenience. The following paragraphs come from an essay I recently composed in answer to the question, "what is historical theology?" In considering the term “historical theology,” the first matter one must confront is the question of whether we are primarily dealing with a historical or a theological discipline. If the discipline is primarily historical, then it ought to be approached as a branch of intellectual history, with the aim being to explain what individuals of the past said, and what they meant by what they said, but no more. The goal would be to gain a good understanding of the past, without “theologizing” about it in the present. One immediately encounters a difficulty with this perspective, however. 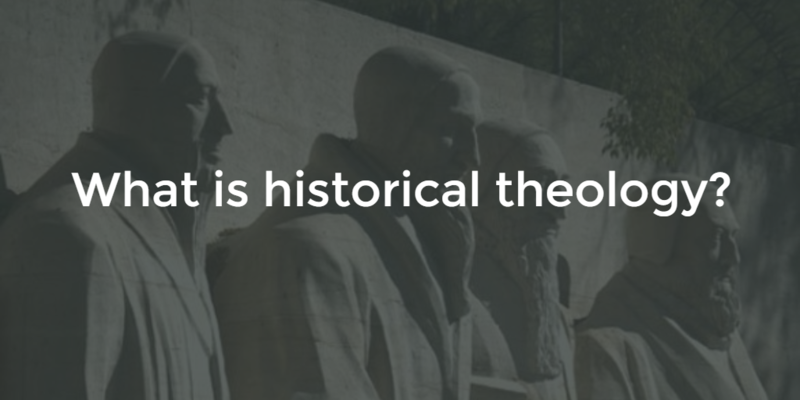 In looking at the term “historical theology,” we notice that the word “historical” is being used as an adjective, while “theology” is the noun. The discipline is not called “theological history” but “historical theology.” Therefore, I am inclined to view historical theology primarily as a theological discipline with a historical emphasis, and the historical theologian as just that: a theologian. While historical investigation is inseparable from the historical theologian’s discipline, his main business is to do theology. Geoffrey Bromiley defines theology this way: It is “the church’s word about God in responsive transmission of the Word of God to the church.” In other words, theology is the contemplation and communication of the message of Sacred Scripture by the church, and for the church. But it is also more than that. Bromiley goes on to say that theology is also “the investigation of the church’s word about God with the intent of testing and achieving its purity and faithfulness as the responsive transmission of God’s Word in changing languages, vocabularies, and intellectual and cultural contexts.” So theology is the contemplation and communication of the message of Sacred Scripture, but it is also the study and analysis of the church’s contemplations of those Scriptures for the purpose of improving and refining her doctrines in the present. I would therefore suggest the following definition for historical theology: Historical theology is that branch of Christian theology which serves the church of Christ by investigating the church’s word about God’s Word as it has been expressed through time, so that she might be better equipped to develop a biblically pure and faithful system of doctrine in the present. 1. The leaders of this skate park are amazing. They are Christians who are using their skate park as a platform for ministry. What a novel idea! I wish we had a thousand more just like them. 2. The needs in our community are great. During the prayer request time, half the kids in my group asked for prayer for protection from bullies at school. One asked for prayer that she wouldn't instigate any fights. So many of the kids coming to this skate park are growing up in difficult circumstances. They, and so many others, need the love and support of the Body of Christ. If you have time to volunteer, I'm sure the organizers would accept your help. 3. I want to go back there again. The opportunity to address unchurched kids on their own turf is a great privilege. I hope I get the opportunity to go back soon!